HTTP API 和已有后端通信 . API clients for Python, Ruby, PHP, Go, NodeJS. rubycent - Ruby gem to communicate with Centrifugo server API. phpcent - PHP client to communicate with Centrifugo server API. gocent - Go client to communicate with Centrifugo server API. 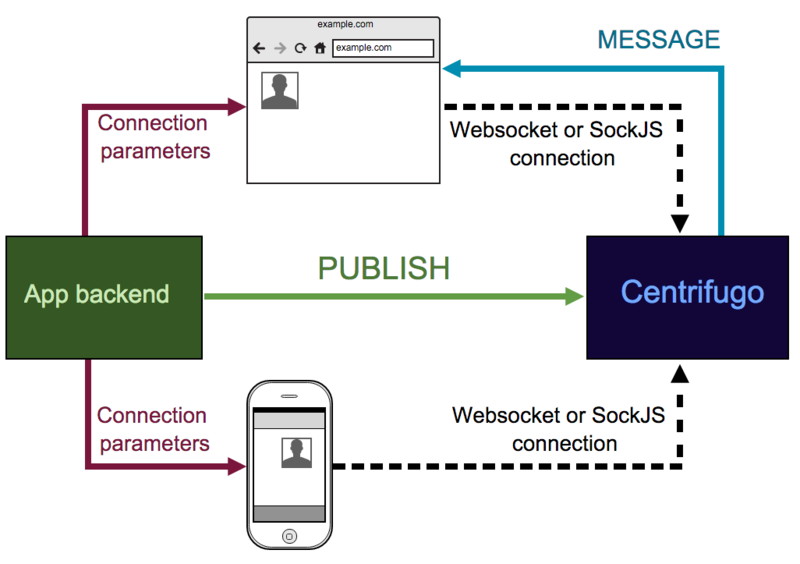 jscent - NodeJS client to communicate with Centrifugo server API.